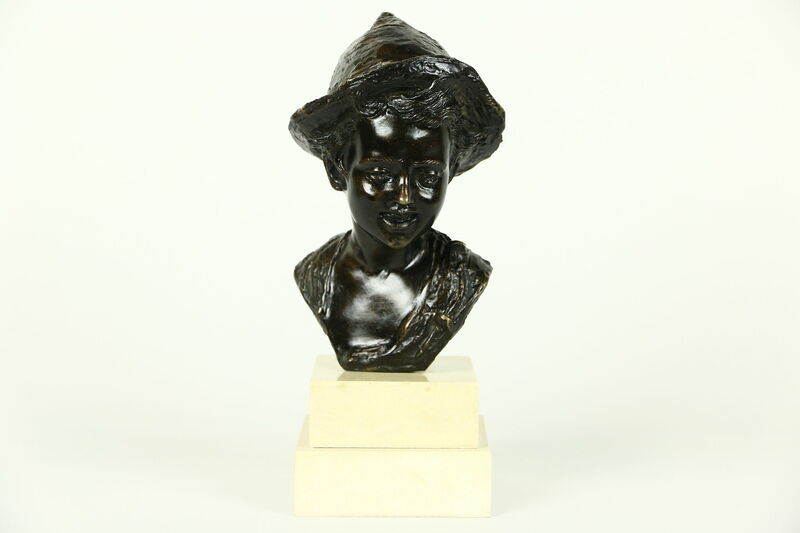 Around 75 years old, this bronze bust of a boy wearing a traditional Italian hat is unsigned. This sculpture has a honed marble base. The dark chocolate patina is in excellent condition on this charming statue. Size is 4" x 4" at the base and 9" tall.